Eric talks about his 1988 Galant VR-4. 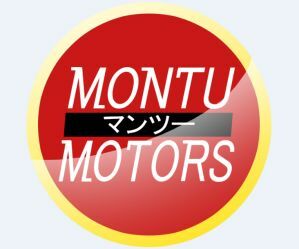 He has owned the car for about 9 months now, we get his experience with the car and Montu Motors, as well as his favorite features of the car. Eric said he found the car at Montu Motors after a long search of trying to find a reliable fun car to get him to and from school. After 9 months this is his favorite car he’s owned! Eric talks about getting used to right-hand drive, from shifting with your left hand, to having to go to Checker’s for a good drive-thru experience! He covers some interesting features of the car, things like the phenomenal cupholders to the air purifier located behind the rear seat. So far his car has been as reliable as he hoped! Eric said he hasn’t done much as far as improving the performace, other than an electric cutout to run a full exhaust system, or dump it halfway unrestricted. He has however been spending time doing all the routine maintenance to get his car running like new! After watching that video…I think I need a cheeseburger and a Polar Pop now!